When you are in the mall and you start smelling that sweet, salty baking aroma coming from Auntie Anne’s pretzel store, have you ever stopped to ask yourself: “why can’t I make these at home”? Well, you can now! And Boardwalk Food Company makes it so easy. They offer three different varieties of pretzels to make: Original, Cinnamon Sugar, Rosemary and Sea Salt. The secret ingredient is just what you would think of when you have a pretzel….beer! Yes, you add your choice of craft, domestic or imported beer to give that extra boost to the already yummy pretzels. If you prefer to not use beer, you can choose a carbonated soda like Sprite for a similar effect. Using the Boardwalk Food Company’s Pretzel Mix is super convenient as all you need to add are items you already have in your house: baking soda, butter, salt and of course, beer. So tonight, I decided to make the Cinnamon Sugar Pretzels as I was preparing for a marathon of saved TV shows to watch. The directions on the box are very clear and easy to understand. The first step is to set up the water and baking soda mixture as you will drop the cut dough in there for just 10 seconds or so before baking them. Now, you just need to add the mix with the beer and stir to incorporate. It will be sticky. Get your strength up as you are going to knead the dough for about 7 minutes. What I would suggest is having a bowl of flour available as you will want to lightly flour the counter so you don’t lose any of the dough. I would just note that this is a bit messy even though totally worth it at the end. Once the dough is all smooth, you just divide it into 6 rolls. You will know when you hit this stage as you are kneading the dough. Then, cut each strip into 6 pieces or whatever size you like. You are going to be smelling the aroma of the cinnamon throughout this process. Be prepared to be hungry! Ok, so you will want to get your baking sheet ready as you are going to drop your pretzels nuggets into the simmering (not boiling water) for just 10 seconds and then pull them out to go onto the baking sheet. I used a silicone baking sheet as I like how easy they are to clean up and not have anything stick to the pan. My suggestion would be to do the water bath in groups. You don’t want to crowd them all in there at once. All you need to do now is put them in your pre-heated oven (425 degrees) and bake for 7-9 minutes and then turn the pan and bake for another 7-9 minutes. I have a powerful oven, so tend to check them on the earlier side of the timeframe. Once you take them out of the oven, be ready with your melted butter and sugar. I brushed each pretzel with butter using a silicone brush and then sprinkled sugar over each one. Once they cooled, I put them in a Ziploc bag and sprinkled a little more sugar and shook the bag so the sugar ended up all over the pretzel and not just the top. Next time you are entertaining, looking for a snack or wanting to give a unique gift (think Boardwalk Pretzel Mix and your favorite craft beers! ), check out Boardwalk Food Company’s Craft Beer Pretzel Mixes . Your options are really endless given all the varieties of beers to choose from. In fact, they even make Bread Poppers (Original, Cornbread and Rosemary Sea Salt) to try next. For more information and to buy them, visit here. Now, I am off to enjoy my Boardwalk Craft Beer Cinnamon Sugar Pretzels. Beer and pretzels REALLY are a perfect combination! Disclosure: Boardwalk Food Company sent me this sample to try. All opinions are exclusively my own. I love homemade pretzels with spicy mustard. I have never made my own, though. I never thought this would be possible, until now. Oh my, how fun! I would love try this and what’s awesome is that you only need beer! Perfect! I always kind of assumed that pretzels would be a pain to make at home but this seems pretty easy! It really is easy. A few steps and a bit of a mess but totally worth it in the end. Nothing like warm pretzels to enjoy. I’ve never made homemade pretzels – this kit would make it so easy. Who knew it could be that easy! These looks delicious and I’ll definitely have to give them a try! My boys have been asking for me to make pretzels. These look so yummy. This would be a good option because the mix is a huge start. I bet they would have fun being creative in the shapes of the pretzels. Just messy but I am sure you are used to that with boys! I am! Wow, it would be so fun to make my own pretzels. Those look so good. I think I’d go with the original flavor first! The saltiness is perfect and would be good to dip in cheese now that I think about it. 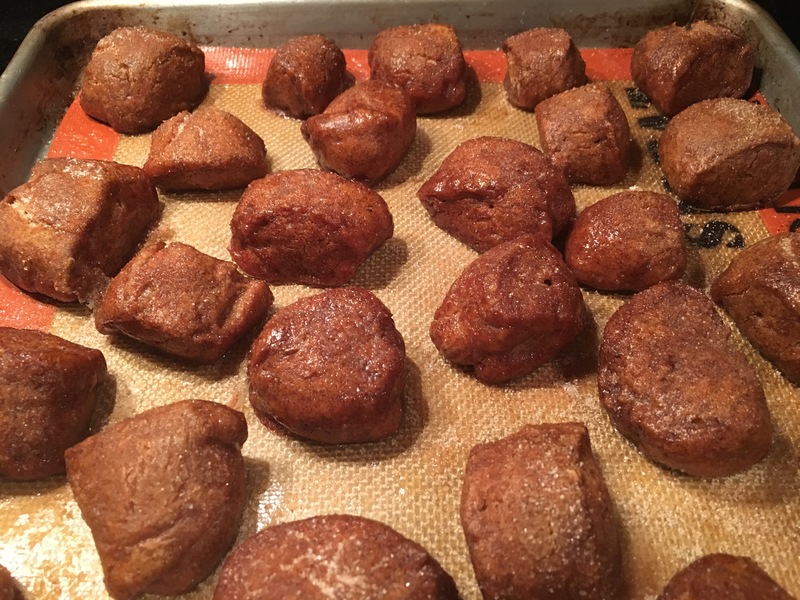 I make my own prezels often – I like to use whole wheat flour – thi is something my kids would like with a nice honey mustard – great post3. Haven’t had a good pretzels in a bit – this might be the trick??? Thanks for sharing it! Pretzels are one of my favourite things to bake and I assume adding beer to the mix would only make them better! My husband and I were love pretzel, this is a great combination, we were going to try. I love jalapeño flavor pretzels. Good to know about pretzels mix.